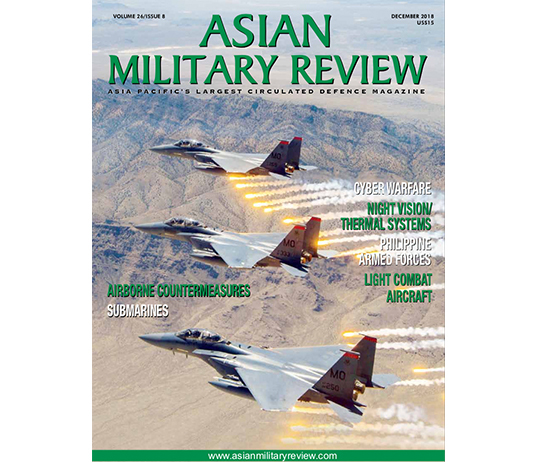 The Asia-Pacific has, in recent years, seen significant activity in the acquisition and fielding of new IFVs (Infantry Fighting Vehicles) as a consequence of similar regional acquisitions of Main Battle Tanks and the attraction of IFVs as force multipliers. Armies there have shifted from Armoured Personnel Carriers (APCs) which transport infantry protected from shrapnel and small arms to vehicles designed for mounted fighting; the Infantry Fighting Vehicle (IFVs). The key difference between the APC and IFV is that, regarding the latter, its infantry section on board operate as a cohesive unit with the vehicle: Each directly supports the combat action of the other. The platform itself is well armed and capable of delivering accurate and lethal firepower detecting and engaging targets even on the move and during the assault. This allows the dismounted element to focus on defeating opposing infantry. The protection level of the vehicle is crucial because in allows the assault (and defence) to receive supporting fires, particularly indirect fires from mortars and artillery. The combination of these indirect fires, the accurate point and suppressive fires of the IFV and Main Battle Tanks (MBTs) leading the assault, and the shock effect of this combination allows the embarked infantry assault element to clear out any remaining, and likely demoralized, opposition. The armies in the Asia–Pacific region have approached the IFV in often different ways. Yet they share a common recognition of their value and contribution. The region has seen acquisitions of IFVs from third party suppliers, as well as the advent of indigenous designs. 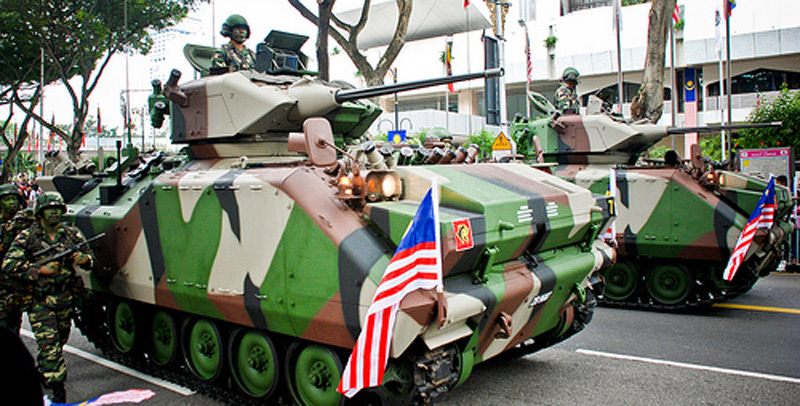 Regarding the latter, one of the most well-known platforms is Singapore’s ST Kinetics’ Bionix tracked IFV family. Entering service with the Republic of Singapore Army in July 1999, the Bionix family has excellent mobility due to its Detroit Diesel 6V-92TA turbocharged diesel engine and its Horstman Defence Systems Hydrostrut suspension. 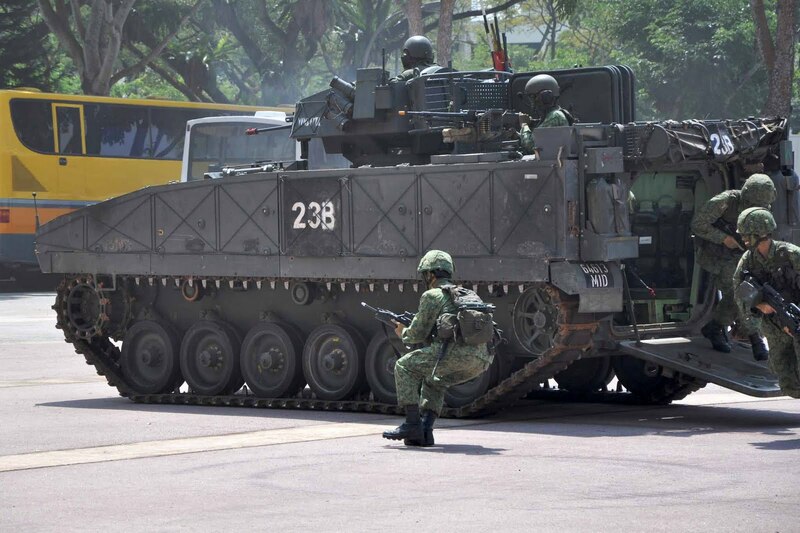 An intriguing approach by the Singaporean Army towards the dichotomy of weapon station size and troop complement (where a trade-off must be struck between the amount of space absorbed by an IFV’s weapons station, and the number of personnel the vehicle can accommodate) has been to field two configurations using the same chassis. The Bionix-25 has a two person turret equipped with an Alliant Techsystems/Orbital ATK M-240 25mm Bushmaster auto-cannon and 7.72mm coaxial and roof-mounted machine guns. Meanwhile, the Bionix-40/50 has a one-person weapons station with a CIS 40AGL 40mm Automatic Grenade Launcher (AGL) and CIS 50 12.7mm machine gun, plus a 7.62 mm machine gun. The vehicle carries nine dismounts plus the gunner and driver. The Singaporean Army’s Bionix-25 and Bionix-40/50 operational concept provides one version with the M-240 to defeat lightly-armoured targets while the Bionix-40/50 is optimised for area suppression thanks to its 40AGL. 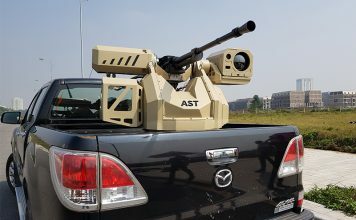 A programme between the country’s Defence Science and Technology Agency (DSTA) and Singapore Technologies Engineering upgraded the Bionix 25 with a Bushmaster-II 30mm auto-cannon with improved fire control and sights and better protection which entered service in 2009. 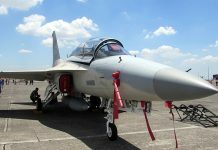 Singapore’s neighbour Malaysia has collaborated with Turkey on IFV developments, with the former’s DefTech working with the latter’s FNSS. This collaboration has yielded the FNSS/DefTech ACV-300 Adnan IFV, which uses the United Defence/BAE Systems’ M-113 tracked APC as its baseline. The Tentera Darat Malaysia (TRM/Malaysian Army) has 31 ACV-300s equipped with BAE Systems/FNSS’ 25mm Sharpshooter one-person turret that can carry eight dismounts plus the driver, gunner and commander. In addition, the TRM has 72 ACV-130s equipped with a Helio/Thales FVT-800 25mm turret, plus a 7.62mm coaxial machine gun. Confidential sources inform AMR that DefTech is offering a remote weapons station with a 12.7mm machine gun or AGL as a future alternative possibly to the FVT-800 turret. While Malaysia and Singapore have procured indigenous IFVs, the Tentara Nasional Indonesia-Angkatan Darat (TNI-AD/Indonesian Army) has taken advantage of the downsizing and modernisation of some NATO (North Atlantic Treaty Organisation) armies to upgrade its equipment. 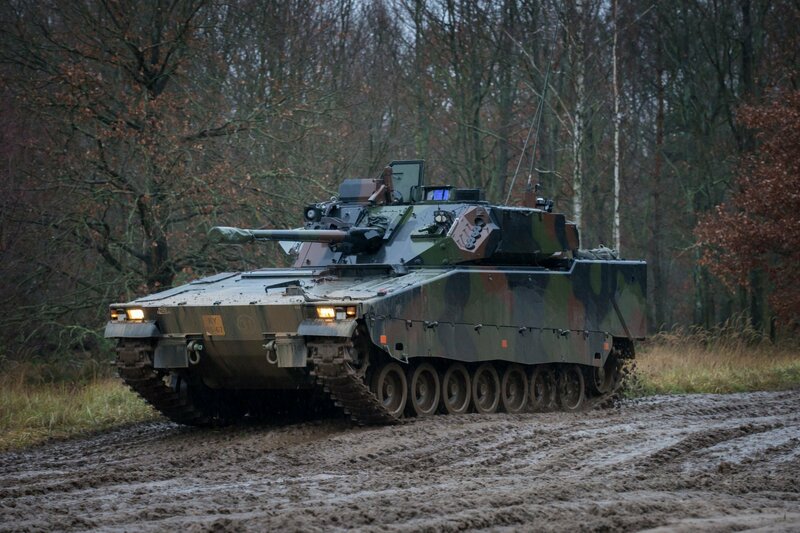 In 2013 the TNI-AD ordered through Rheinmetall Marder-1A3 IFVs retired from the Heer. Through its order of 50 vehicles, the TNI-AD gains a vehicle that touches each of the characteristics that define an IFV. Rheinmetall states that the Marder-1A3 is protected against 30mm projectiles and has a discrete low profile that reduces its visual signature. Despite having a two-person weapons station that protrudes into the hull the overhead Rheinmetall Mk.20 Rh.202 20mm auto-cannon, though using a relatively smaller calibre by today’s standards, still has considerable capabilities due to new programmable projectiles with anti-personnel, anti-materiel, fortification defeat and even airburst capabilities. A Rheinmetall spokesperson told AMR that the weapon: “remains, despite its 20mm calibre one of the most accurate auto-cannon available with ranges of up to 2.5 kilometres (1.6 miles). Plus, new ammunition like the FAP (Frangible Armoured Piercing) and PELE (Piercing with Enhanced Lateral Effect) offer improved target lethality.” The crew of three, plus seven dismounts, allows the Marder-1A3 to operate effectively on its own while placing a squad of six infantry with a section leader on the ground. Overall the new Marder-1A3s both complement the 103 Krauss-Maffei Wegmann Leopard-2A4 MBTs the TNI-AB acquired in September 2013, as well as, offering a new stand-alone infantry response capability that it was previously lacking. 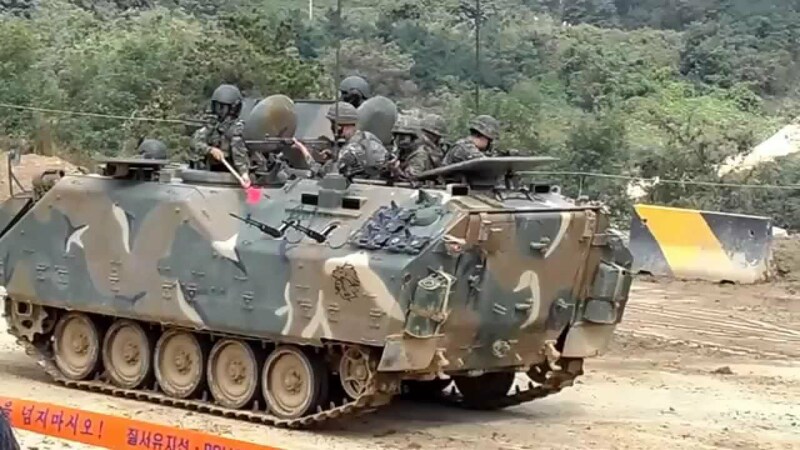 Away from Southeast Asia, the Republic of Korea Army (ROKA) fielded its Hanwha Defence Systems K-200 IFV in 1985. A traditional design, it accommodates a crew of three and a nine-person squad. The K-200 family is now being replaced by the Doosan DST (now Hanwha) K-21 IFV family which entered service with the ROKA in 2009. Protection is a priority with multi-layer steel, ceramic, and glass fibre armour, open sources note, with the two-person turret outfitted with S and T Dynamics’ K-40 40mm auto-cannon (a Bofors L70 under license), 7.62mm coaxial machine gun and two launchers for the Rafael Advanced Defence Systems’ Spike-LR optically-guided Surface-to-Surface Missiles (SSMs). The K-40 weapon offers significant punch with not just Armour-Piercing Discarding Sabot (AFDS) and High Explosive (HE) rounds, but also advanced programmable HE and proximity air burst ammunition. These allow effective engagement of entrenched infantry at ranges of four kilometres (2.5 miles) well beyond the capability of their own weapons. It also permits firing on enemy positioned on hilltops (of which the Korean peninsula has many) and in bunkers. Finally, the weapon can engage enemy helicopters and suppress or kill anti-tank guided missile crews at or near their maximum range. Maximizing the operational mobility of the K-21 was a major ROKA focus, according to ROKA requirements documents. The country’s undulating terrain demanded a high power-to-weight ratio which the manufacturer achieved by keeping the vehicle weight below 26 tons and fitting a Doosan D2840LXE 740-hp diesel engine. The vehicle also needed to be able to swim to traverse the many rivers covering the Korean peninsula, and two hydro-jets provide a 3.7 knots (seven kilometres-per-hour) water speed with two inflatable rubber side bladders to supplement the vehicle’s buoyancy. Across the Korea Strait, the Japanese Ground Self-Defence Force (JGSDF) made the shift from APC infantry carriers to a true IFVs with its fielding of the Mitsubishi Type-89 IFV in 1989 which replaced the Mitsubishi Type-73 APC which entered service in 1973. 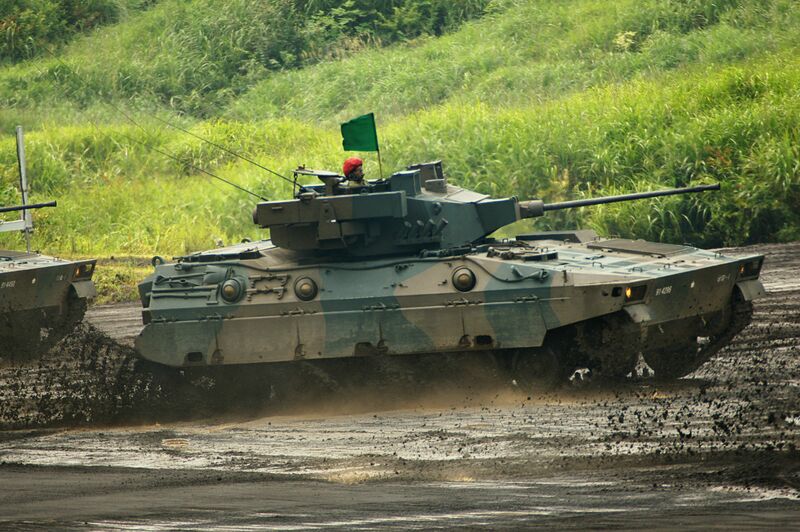 Like the ROKA’s K-21 discussed above, the Type-89 represents a major shift in the employment of armoured infantry. The latter’s two-person turret employs the Oerlikon/Rheinmetall KDE 35mm auto-cannon (produced under licence) with a 7.62mm coaxial machine gun. The 35mm, also used in air defense, is particularly suited to engaging point and area targets. Company literature shows a range of highly effective ammunition including HE, APDS, and proximity detonating fragmentation. The Type-89 also has two launchers for the Kawasaki Type-79 Jyu-MAT semi-automatic optically-guided SSM on the turret. The infantry section of seven has firing ports and exits through two rear doors, one of which also has a firing port. Doctrinally, JGSDF sources note that the emphasis on the Type-89 is to provide a rapid response capability and operate either independently, or in cooperation with MBTs. The infantry section and vehicle are intended to generally operate together. 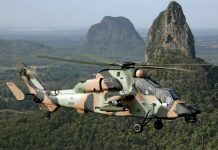 Finally, the Australian Army’s Land-400 programme focuses on modernising and/or replacing the force’s entire armoured combat fleet, according to the force. The Land-400 Phase-3 requirement, referred to as the ‘Mounted Close Combat Capability,’ as laid out in the army’s November 2015 Request for Information (RFI) calls for a well-protected vehicle capable of working with the force’s General Dynamics’ M1A1 MBTs. It must be capable of both carrying an eight soldier infantry section and defeating opposing armoured vehicles and targets in support of mounted and dismounted operations. The RFI expressed a preference for a tracked vehicle but did not rule out a wheeled solution. The Land-400 programme is being executed in phases. Industry sources anticipate release of a request for proposals for a new IFV to replace the current M-113AS4 tracked APCs this year. Phase 3 of the Land-400 initiative, the army notes, will acquire 315 IFV versions plus a mix of supporting/non-turreted mission models. An intriguing aspect of the Australian programme is how close the contending offers for Phase-2 of the Land-400 programme which is acquiring a so-called ‘Combat Reconnaissance Vehicle’ to replace the Australian Army’s MOWAG/General Dynamics ASLAV eight-wheel drive light armoured vehicles, and the Phase-3 IFV requirement are technically. 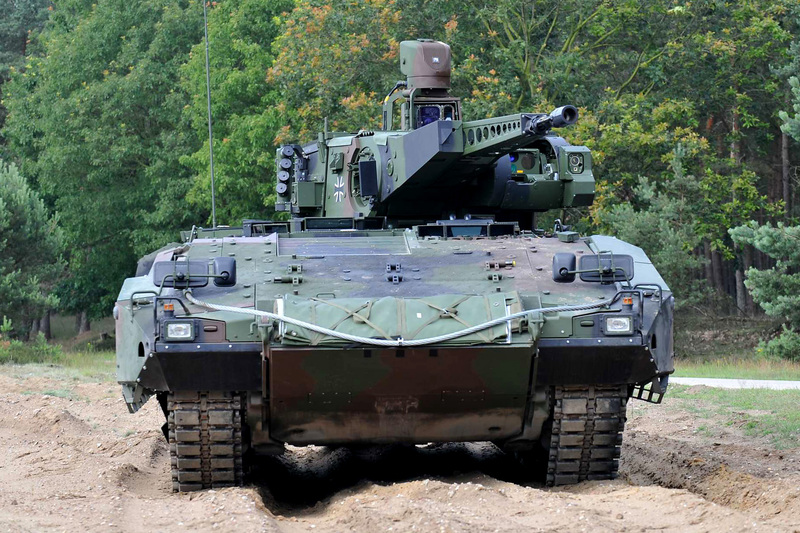 For instance, the BAE Systems’ AMV-35 was short-listed in July 2016 for the CRV requirement and uses the same turret and gun station as the CV-9035 it is proposing for the IFV requirement (see above). 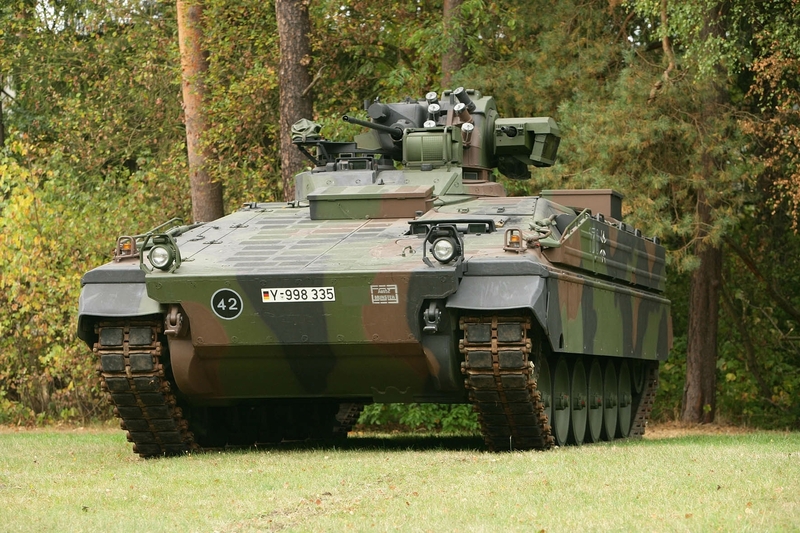 The Rheinmetall Boxer, which was also shortlisted, has the company’s Lance 30mm turret, which is also on Rheinmetall’s Lynx IFV offering for Phase-3, with a similar, although uninhabited design, equipping the Puma IFV offering. The protection levels of these CRV candidates are also similar to those of the IFVs offered for the Phase-3 requirement. In fact, the Australian government has, in its overall Land-400 plan, indicated its intention to consider the: “cost versus capability trade-offs and through-life ownership costs of tracked and wheeled AFVs in the IFV role.” As such some sources suggest the government has reserved itself the option to expand the CRV purchase and employ versions of the winner of that competition to fulfill the Phase-3 IFV requirement. For Japan, the ROK and Singapore their APC to IFV migration mirrors that of other armies with a well-developed defence industry beyond the Asia-Pacific such as the United States and Germany. Other regional players have been able to take advantage of down-scaling by NATO armies and attractive prices to equip themselves, Indonesia’s Marder-1A3 acquisition being an instructive example in this respect. The Peoples Republic of China’s People’s Liberation Army has so many armoured vehicle projects as result of its own modernisation efforts that it would require a separate article to simply outline them. 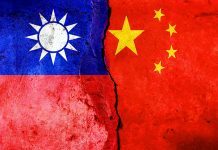 Still others like the Philippines, Taiwan and Thailand appear to be studying what the future might bring. 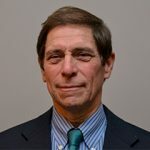 This last position might well recommend itself: There is a distinct possibility that the IFV as personified over the past 45 years may be changing. The Australian Land-400 programme discussed above is the first major competitive IFV procurement outside of the NATO sphere. Plus, it is one of the first such undertakings where mounted reconnaissance and mounted close combat requirements and acquisitions are being pursued in concert. For example, the Australian Land-400 Phase-3 requirement notes that wheeled, as well as tracked, IFVs could potentially be considered. Could the next generation of IFVs, at least, for certain users in the Asia-Pacific region and beyond be wheeled? Military professionals will be carefully watching the results from ‘down-under’ for indications.